If your roof is damaged, or just old, you may be searching for an Irving Roofing Contractor. Every home or business in Irving needs a roof. Roofing is a necessity for keeping your roof protected and safe. The best part of having a quality roof is that you don’t have to worry. At Fair N Square Roofing & Construction we want to give you the best roofing surfaces available. As a roofer in Irving, TX, we focus on producing attractive roofing surfaces that not only look great but also keep your home or business secure. Our team will review your roofing needs and find a solution that is right for you. Whether it entails repairing or replacement altogether, you can trust us as your Irving roofing contractor of choice. You cannot ignore your roof. At some point, you will need a roof replacement. Especially if your roof is more than 20 years old. The great thing about a roof replacement is that the service gives your property a new lease on life. Our Irving roof replacement team will help you replace your old roof with a unique style. You can choose a dramatically new look or have a replacement that looks like what you already have. No matter what your needs are, you can trust our plans for getting a re-roof in Irving, Texas has taken care of at your space. Our Irving roof repair service will assist you with fixing any roofing problems. Some of them include Bad Installation, Leaks, and Moisture, Improperly Installed Flashing, Animals, Ponding Water, Punctures and Penetrations, Fallen Trees, Ventilation, Shrinkage and Blistering, Improper or Lack of Maintenance. Regardless of the roof repair services you require, you can contact us now. Our team for roof repair in Irving, TX will assist you immediately. We will ensure a fixed roof as fast as possible. Storms around Irving will cause damages to even the most durable roofing surfaces. Our Irving storm damage restoration team will provide you with a precise system for fixing damages to your roof. We can restore old tiles or shingles that have blown off or supports that might have become damaged by heavy rains. We even restore roof damages due to a tree falling on your roof during a storm. Our job at Fair N Square is to provide you with something new. Your gutters assist in keeping water away from your foundation and walls. Drains are just as crucial to the roof as the surface and support themselves. The gutter system holds the water in a spot from flowing too hard and causing issues. The great news is that our team can assist you with fixing up any gutter. Our squad for gutter installation and repair in Irving, TX will help you with measuring your channels to determine the needs. We will also repair gutters that have clogs, are poorly aligned, or are dealing with any other hassle or problem. Asphalt – Our team will review your traditional asphalt surface and apply tiles based on the cuts and color you need. Metal – Whether it entails a residential or commercial property, a metal roof will add a refined and colorful look. Our services include support for roofing membranes among other items. Clay or Concrete – During the installation process, we will assist you with producing stronger support beams and sets to keep a space from sagging or wearing out. Slate – This type of surface will last longer than most other choices, but it does add extra weight. Our team will identify if additional support will be needed. Flat Roofing Surfaces – A flat roof needs not only to look great but also allow water to slide off and drain appropriately. You will need a durable membrane for insulating and shielding a flat roof from potential damages. Synthetics – Many added polymers that resist UV damages and keep heat from entering into a home make this popular today. We install all of these roofing systems and can also repair or maintain those systems as necessary. Our team is devoted to helping you with any roof. Finding the right support from an Irving roofing company will make a world of difference. Our team of roofers will assist you with high-quality service and fantastic craftsmanship. No matter the problem, we have a roofing solution We will also help you with inspecting your roof and figuring out what issues you might have. 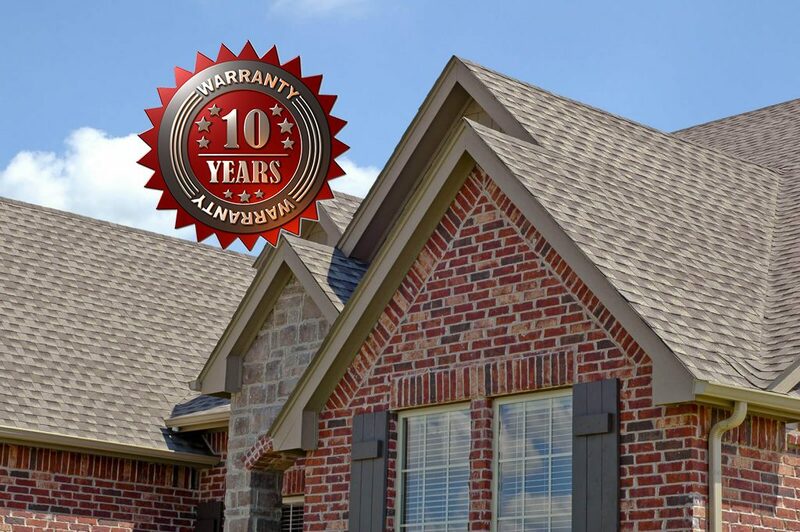 We are a proud roofing company in Irving, TX that wants to earn your business as a trusted provider of quality roofing services. A full inspection of your roof and gutter system will ensure it’s healthy. A poorly functioning roof will lose many of its tiles and can leak. The worst part of an unhealthy roof is that you might not be aware that it is in trouble. You wouldn’t notice issues until it is too late and significant damages start to come. An Irving, TX roofing expert will assist you by looking at your roofs layout. We will check the roof and gutters from the inside and outside. Our goal is to review the quality of the construction and how well the surface is holding up. The key is to ensure a problem is found ahead of time before it can become worse and threaten the quality of your property. The insurance claim process can be a hassle. Many homeowners struggle with trying to get an insurance claim paid for many reasons. Many complain at how tough it can be to get an insurance policy form filled out. Fortunately, our insurance claims team will assist you with getting your insurance claim filed as needed. We work to ensure that your insurance will cover the costs associated with our services. After all, it is us who will be collecting money from the insurance company. Our team will take care of the paperwork for you and get in touch with any adjusters if necessary. The goal is to get every penny that needs to cover your costs. Be sure you contact the top Dallas Roofing Company, Fair N Square, for your Irving, TX roofing needs. We want to be the Irving roofing contractor you can trust. We are available with a free roof inspection and will provide you with a no-obligation estimate. Contact us, and we will see what can be done to fix up this part of your home.